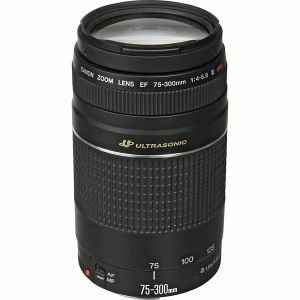 EF 75-300mm f/4-5.6 III USM Compact and lightweight 4x telephoto zoom lens ideal for shooting sports, portraits, and wildlife. The newly developed Micro USM makes autofocusing quicker and quieter. The improved zoom mechanism also makes zooming smoother. The front part of the zoom ring now sports a silver ring for a luxury touch.